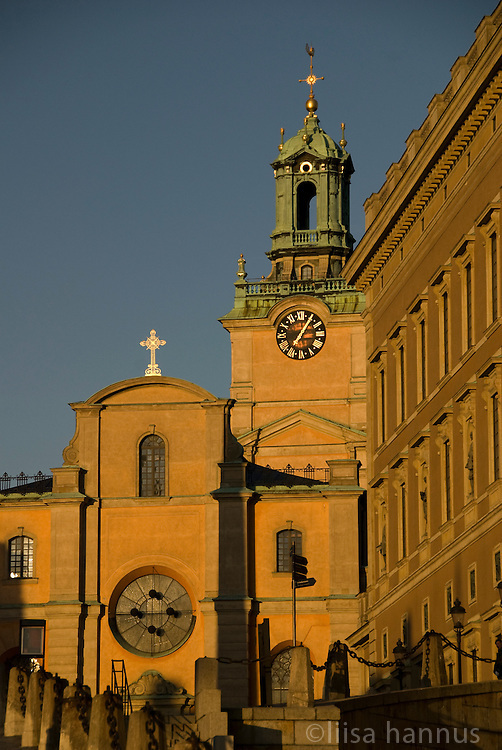 Stockholm's Storkyrkan glows in the morning sun. Sankt Nikolai kyrka (Saint Nicolaus Church), most commonly known as Storkyrkan, or The Great Church, is the oldest church in Gamla Stan, the old town in central Stockholm, Sweden. An important example of Swedish Brick Gothic, this Lutheran Protestant church and cathedral of Stockholm is situated next to the Royal Palace.